Ben Finn and his brother Jonathan invented Sibelius and founded the company of the same name. Ben recently spoke with me via video chat from his home in London. Part 1 of 2 of our conversation appears below. Part 2 was published on June 25, 2015. Q: There are probably many Sibelius users who aren’t aware of the product’s origins. Can you talk about that? My brother Jonathan and I are part of the 1980s home computer-boom generation. 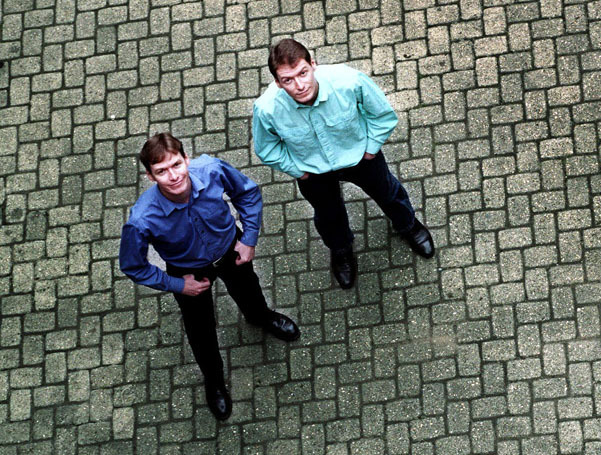 We taught ourselves computer programming on Acorn computers, which were made in Cambridge, where we grew up. Acorns were very popular in Britain, but they weren’t really used anywhere else. We wrote and sold games for it from the age of 12. 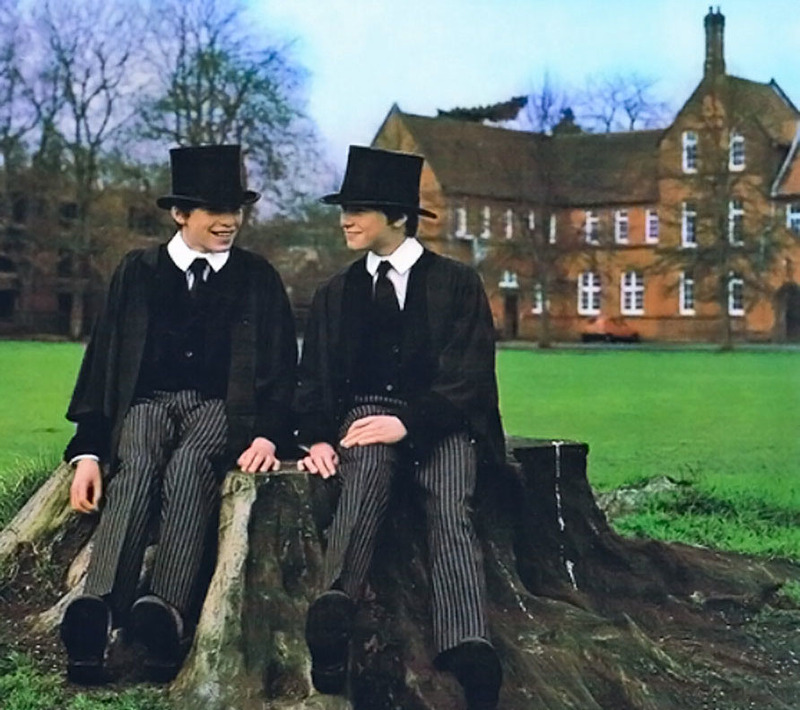 We were also very musical, and went to a choir school: King’s College School, Cambridge. Then when we went on to high school, we were taught composition, which was very unusual in the UK at that time. 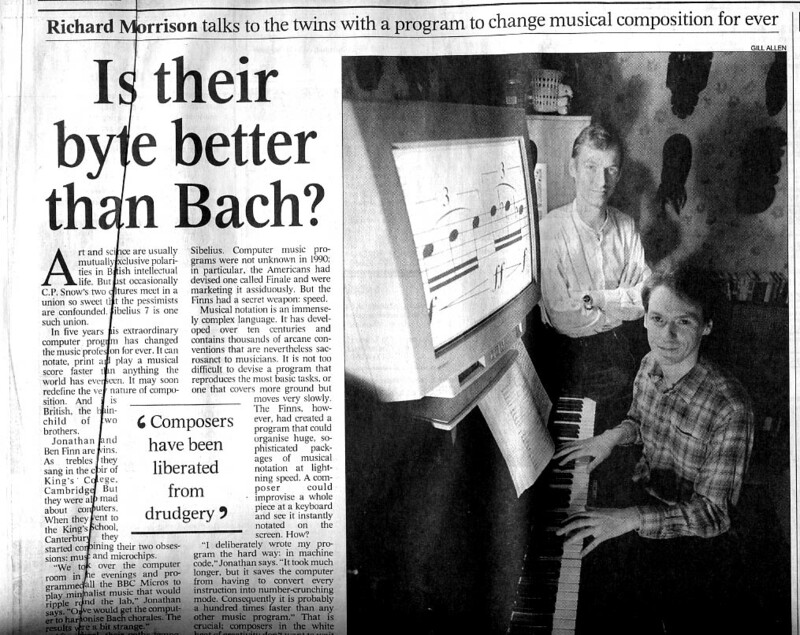 We were both very keen on composing, and of course back in those days it was all done with manuscript paper. Schools were starting to get computers with word processors and things like that. So we thought, “how about we just knock up a word processor for music?” This was in 1986, when we were 17. We knew it would be hard, and as we started working it out on paper, it became clear that it was extremely complex. I remember the particular moment I realized how difficult this was going to be: when we started thinking about two voices on the same staff, and accounting for the fact that they had to be displaced. You see, we were working out the ground rules from scratch — we hadn’t read any engraving books at that time. I knew someone who worked for Peter Maxwell Davies, and I thought that maybe I could get some work on the side helping out with his music. So I wrote to his agent, and introduced myself as a high school student suggesting that maybe I could copy out his music — I was good at copying by hand — or perhaps I could proof read it. His agent phoned up and told me that Peter Maxwell Davies was quite interested! So I started working for him. I would be sent the composer’s manuscript, and also the fair copy, copied by hand by his copyist, Richard Emsley, and I would proof read it. I got talking to Richard, and told him that Jonathan and I had starting thinking about writing a computer program for what he had to do by hand. He agreed it would be a good idea, and he lent us Ted Ross’s The Art of Music Engraving and Processing. With the Ross book — and a lot of scores that we examined closely — we started writing the program. We even bought a measuring magnifier, which is a very high quality and precise magnifying glass ruled in 1/20ths of a millimeter. We used it to measure treble clefs, stem lengths, and all that in the scores we had. We thought it would take two years to write this program. We wrote it for Acorn computers in assembly language, which is the fundamental language used by computers, very difficult to write but very fast. 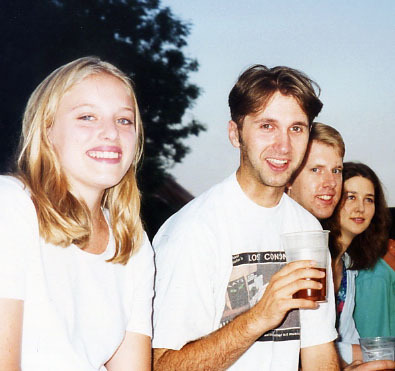 So off we went to university in 1987 — I went to the Royal College of Music followed by Cambridge, and Jonathan went to Oxford. We worked on the program in the holidays, and the two years came and went. Ultimately it took seven years to get it finished. By that time, Jonathan had left university and I had done a master’s. When we were getting close to completing the program, we thought that we had better actually do something with it, because though we hadn’t originally planned it for commercial use, having spent seven years on this, it was clear that it had gone well beyond the nature of a hobby project. We had no intention of commercializing it ourselves, so we actually wrote to Apple and IBM, along with several music publishers and tried to interest them in it. We drew a blank on every front. 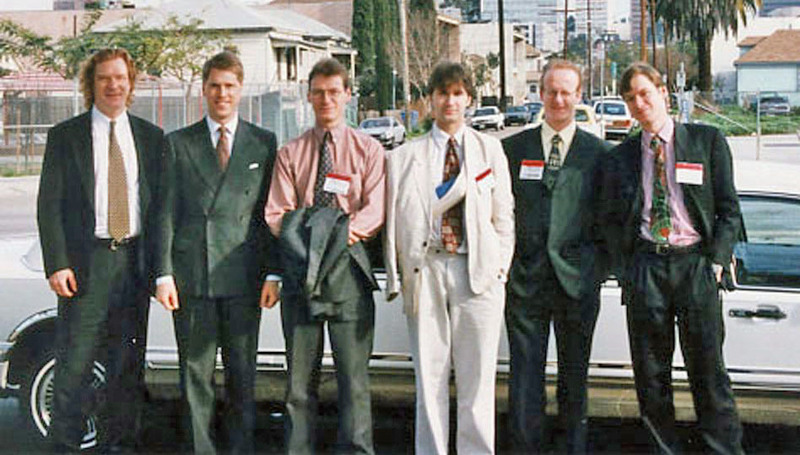 So instead we started our own business, and this was in 1993. We decided to call it “Sibelius” for reasons we can no longer remember, but it was almost certainly because [composer Jean] Sibelius was a “Finn” — a play on our surname. Even though people have trouble spelling it sometimes, looking back, I still think it was a good name, having set the right tone for being traditional yet modern as well. We bought a directory of all the composers and publishers in Britain and mailed them all a brochure. Back then, a lot of people didn’t have computers — and most classical musicians certainly didn’t — which actually worked in our favor, because we sold them computers as well as the software, not to mention a printer, maybe a MIDI keyboard, a sound module; the whole composing package. The fact that it was an Acorn computer, as opposed to Windows or a Mac, made no difference to them. 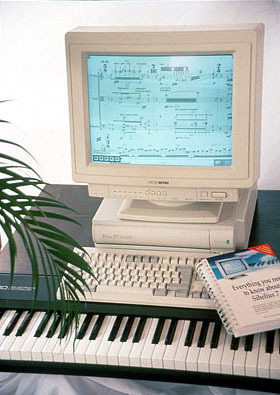 Indeed, because this was the first computer for so many of our customers, our manual not only explained how to use Sibelius, but basic computing skills like how to use a mouse! The whole thing was a great revelation to them and got enormously popular very rapidly in Britain by word of mouth. It became clear that this was going to be our life for the foreseeable future. It was at that time that I stopped all development work and Jonathan took that over entirely. I became the CEO, and he became the CTO. Q: Was there a natural division of labor between you and Jonathan? We knew that one of us had to do the business side and one of us had to do the technical side. I suppose we could have possibly done it the other way around, although Jonathan latterly had done more of the programming and had possession of the computer! Q: Do you think it would have been possible to develop the software without each other? Writing software like this is so difficult and complex. There are numerous technical and design problems. For a single person to do all that and to do it well without discussing with someone else would be pretty much impossible. Jonathan and I did most of the initial programming side-by-side at the computer, with one of us typing it in and both discussing it together. We didn’t know this at the time, but this is one of the official methods of good quality programming. 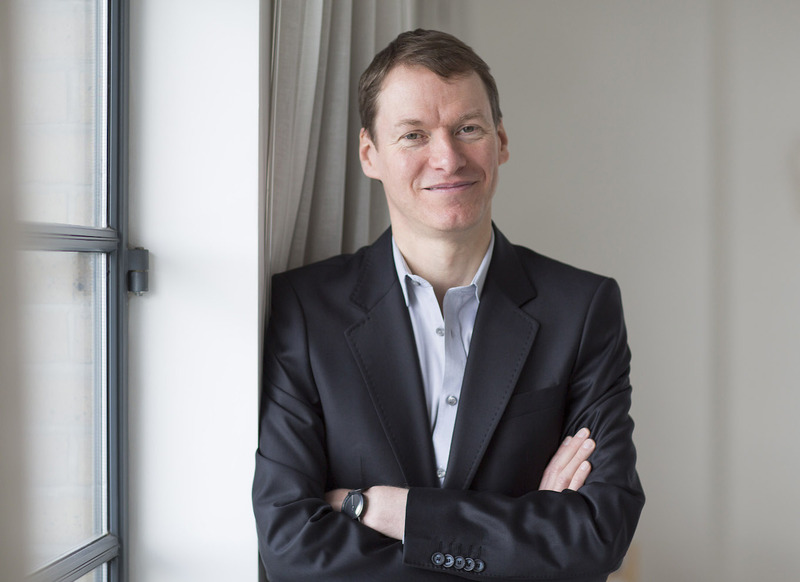 Q: We think of Sibelius as having such a strong educational component, but it sounds like you were initially marketing the product to professionals, is that right? Yes. But as it happened, the software was very easy to use, and — even though we hadn’t thought this aspect through — Acorns were still enormously popular in schools, thanks to the huge success in the 1980s of Acorn’s BBC Micro computer, commissioned for a TV series teaching people about home computing. Anyway, we had this professional software which did everything the schools wanted and more, and we started getting orders. So within a matter of months, we figured we had better offer an educational discount and a site license, and then we made “lite” versions to satisfy the educational users. As it turned out, education ended up being two-thirds of our market, unexpectedly. Q: What were some of the early concepts behind Sibelius that you envisioned, and made it so appealing to use? We were dimly aware of the existence of other programs. In the late 1980s and early 90s, there were actually quite a lot of different score-writing programs, which weren’t really marketed in the UK, except for Finale and Score to some extent. We hadn’t seen them, and of course the internet didn’t exist, so we didn’t know much about them. So in a way we probably wouldn’t do now, we designed Sibelius entirely from scratch in total ignorance! As it so happened, we did it in a good way. One of the key concepts was to have a very simple interface that was consistent, so you didn’t have to learn a whole lot of different things; you learn one thing and apply it to many different areas of the program. Clicking on something and moving it seemed obvious to us, so that was a fundamental concept. Another one was reformatting; we knew that in order to be able to extract parts, the program was going to have to arbitrarily reformat any music. Many readers may not realize this, but back then, memory and disk space were at a real premium. We designed the file format to be incredibly compressed, bit-by-bit. This got us into a good habit: in order to make scores reformat arbitrarily, the best way to do it was to do it on the fly. That is, not to calculate where everything throughout the score should go, store it in memory, and then wait for the person to press an update button and recalculate and re-store all the formatting. That’s slow and inefficient. The way to do it is, whenever the program wants to draw anything, like a staff or a note, it calculates its position at that point in time. By designing the program so that everything would reformat instantly, that saved a lot a memory; but it also required the code to be very fast for it to be possible at all, which is why it worked in assembly language. If we had done it in a slower language, it would have been too clunky. 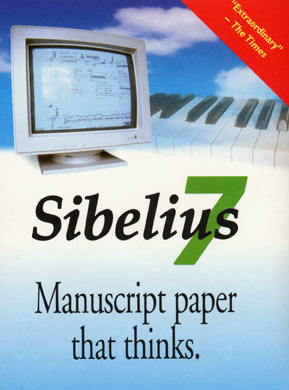 Q: Was the first version of Sibelius called version 7? Not quite. 7 was not the version; it was part of the name itself. The program was called Sibelius 7. It’s a bit weird, but it seemed like a good idea at the time! I think it was obliquely referring to Sibelius’s seventh symphony, though I have no idea why. Q: So you have Sibelius 7 on Acorn and you’re working full time on it. What was the next step? We very quickly had to hire staff. Initially the company operated out of my flat in Cambridge, and Jonathan lived in his flat in London. In our first year, while still in my flat, we were selling the computers in big boxes. We’d have to empty these out, and you couldn’t see the floor for styrofoam chips, cheques and brochures everywhere. Things were enormously busy and chaotic. Eventually we got an office. The Acorn was limiting the software to the UK, and a handful of Commonwealth countries. Windows and Mac were getting bigger and bigger, and in 1997, Jonathan started working on the Windows version. We knew that once we made that, we’d have a worldwide market. So we started looking at the US. At the time we had about five people on staff. 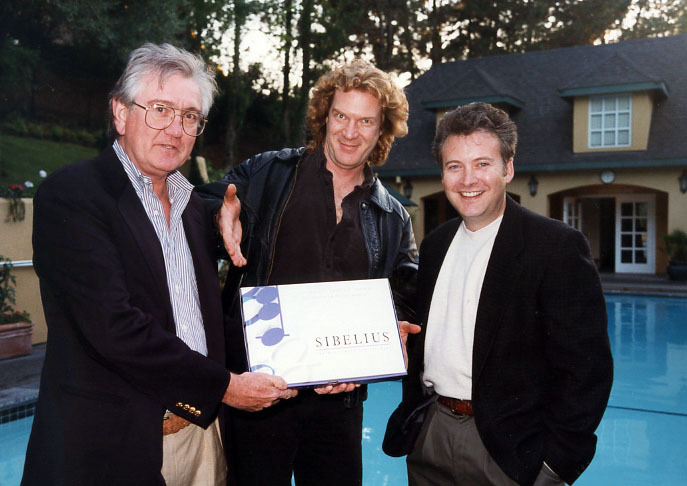 We flew out to Los Angeles and recruited a salesman, Marty Walker, to sell Sibelius in the American market. Even though we were still on Acorn he managed to sell a few copies, exporting the computers to the US. Lalo Schifrin was our top Hollywood composer who used Sibelius on Acorn! Meanwhile we recruited some more developers to help write the Windows version. It wasn’t ported from Acorn; it was a completely new program, but basically with the same concepts and various improvements, like microtones and handling more than two voices. Visually it was very similar to the Acorn version, but Sibelius 1 for Windows, and eventually the Mac, was really a brand new program. Q: You were still in your 20s at the time. Do you recall what you were thinking and what it was like? We knew once we announced the Windows version, we would get busy very quickly. By then we had about ten employees. We did a mailing to people in the UK saying that we have a Windows version coming out. All of our phones rang continuously all day. Everyone wanted information and wanted to know when the Windows version would be released. I think we got one thousand calls in just two weeks, asking to be sent information packs — remember, this is 1998 so it was almost all still done by phone and mail. There was a lot of fun but also a lot of stress. One stressful period was after we announced the Windows version but before we released it. When we announced, we thought it was very nearly ready for release, but of course, it wasn’t. There ended up being a gap of about eight months before it was actually ready. Of course, sales of the Acorn version fell off a cliff, because everyone was now waiting for the Windows version. So there was this period of eight months where we had almost no sales. We were desperately scrambling to finish. That was a risky time. If it had gone on much longer it could have been very bad news. Q: Once the Windows and Mac versions were released, you took on additional staff and expanded further. How hands-on were you and Jonathan in evolving the vision of the product and developing new features? Were you concerned with growing the company or were you still driving the innovation? Jonathan was heading up development full-time. I was still doing things like writing the manual before I handed that over to Daniel Spreadbury, and, for a while, running the beta testing, although I handed that over as well. So I was mostly running the business side, though I continued to be involved all the way through in choosing features, because those were key decisions. They were actually a mix of technical and market decisions, and so they had to be made at the top level of the company. Q: What are some of those features that you’re most proud of? It’s not so much a feature, but the whole reformatting concept. Take for instance Magnetic Layout; I wasn’t involved in it, because it was after my time, but that’s the original vision taken to the next level. We had a process where we would evaluate features. Customers, developers, technical support and salespeople all had ideas, not to mention people who weren’t customers, but told us that they would be if we added a certain feature. We did an elaborate cost-benefit analysis: how much value would a feature produce versus how long would it take to develop. At the end, we’d have a prioritized feature list, which would be turned into specs, and then the developers would get going. I remember when we were first demonstrating prototypes of the Windows version in the US. One of the things that completely took people’s breath away was that you could have an orchestral score, put a clef down, and drag it left and right, and up and down. And then, say, you could change to guitar tab, on, say, a violin staff, and switch it into a guitar staff. Those kinds of things showed that there were very deep and clever things going on in the software. Q: So are you responsible for the line in the reference that encourages the user to move the clef around for hours of harmless enjoyment? Ha, I don’t recall writing that line! The original manual I wrote has been gradually replaced bit-by-bit, but I’m sure it does say that! But the idea we were getting at is to show something that is inessential — you’re not really going to amuse yourself dragging a clef around — but that underneath, something very powerful and important is going on in the program. In part 2 of this interview, Ben talks about selling Sibelius to Avid, events after the sale, marketplace developments, and the state of the field today. All photos courtesy Ben Finn. Very interesting indeed! I can’t wait to read the following! Thank you! Great interview so far! Nice job. I only wish you were able to use html 5 to embed the mp3 of Brother Finn discussing code design as Flash is (or at least should be!) going the way of the Dodo. Saves a few clicks to access the audio for those of us leery of installing Flash on our computers. Steve: It’s actually a browser thing. Firefox doesn’t support HTML5 MP3 playback like the other browsers do, and I didn’t take the time to encode it for OGG. But I have done so now, if you refresh. Thanks for noticing it. It’s a great idea to know the real heroes of Sibelius software. I became a big fan and user since version 4. Thanks for the great article Philip! I was fascinated to hear that the Finns did not have access to any other scoring programs, and so just did everything by scratch, not worrying if they would match the features of the competitors. There is a nice improvisational quality to that, which was reflected in the software, and which let you approach the software in the same way, on your own terms. I too found that very interesting. And like Dust, I only started using Sibelius with version 4, although I remember Ben demonstrating what must have been version 1 when I was a graduate student in 1999 or 2000 at Juilliard. So it was nice to sync up that memory with a first-hand account of what was going on. It reminds me of Haydn’s comment about being cut off from the world and so being forced to be original. Look forward to reading part 2! I still have my original Acorn Sibelius 7 package, complete with the box, 3.5″ floppies and the very friendly manual. Sadly, I don’t have a machine to run it on any more, but can’t bring myself to bin it, either! Very cool interview, thanks for posting. I started to use Sibelius from version 1 for Windows and later I was a beta tester os Sibelius for the spanish release. Sibelius is and has been my tool to composer. In fact I almost do not play piano now. They probably called the original program “Sibelius 7” in reference to Jean Sibelius’ 7th Symphony, which was a compact 5-movements-in-one piece running about 20 minutes. A very modern, concise work, in contrast to his first Symphony which ran about 40 minutes over 4 separate movements, in the romantic tradition. Thank you for this article! I remember hearing and reading online about the forthcoming Sibelius scorewriter in college after growing a love/hate relationship with Finale. With Finale, I once accidentally hit Delete instead of Clear–I think–and nearly lost many hours of work thinking the program was hung, but after storming about and deciding to take a walk to calm down, about 45 minutes later, it finished. Then I clicked Undo… and another 45 minutes later, it finished. Seeing–and then trying–Sibelius was a revelation, even in version 1 (still have the box!). They definitely have reason to be proud of the format-on-the-fly paradigm. I do recall the file sizes being a huge benefit at the time, also. Even in the late 90s, floppy disks were still a common means of saving and transferring files, and Finale files were relatively huge (typically > 300 KB, and disks were 1.44 MB). Extracting parts and transferring them was problematic. Then Sibelius came along with these ~20 KB files. It was like magic.